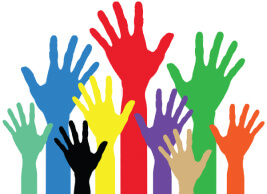 Ogletree Deakins is proud to have a tradition of professional development and inclusion. Across our 53 offices in North America and Europe, lawyers of diverse gender, age, race, ethnicity, national origin, gender identity, marital status, sexual orientation, and physical abilities have significant positions of responsibility. 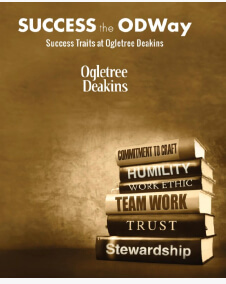 Ogletree Deakins provides a clear competency framework that makes the rules of the road to success clear. Our Success the ODWay Learning Guide articulates the firm’s cultural norms and describes five key success factors. It is a written rendering of the often unwritten playbook for success. Our ODPro benchmarks describe the developmental milestones that associates need to reach at varying stages of their careers. Covering labor and employment, immigration, employee benefits, ERISA litigation, and class actions, ODPro makes expectations clear so that associates can take greater ownership of their careers. Our Diversity Action Plan (DAP) encourages our attorneys to engage in activities that develop their cultural competence. These activities lead to greater dexterity around different cultures, social groups, and ethnicities.